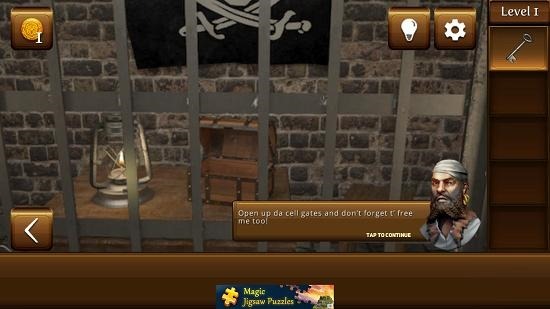 Pirate Escape is a free hidden object game for Windows 8 and 8.1 which allows you to play as a pirate who has been trapped inside a cell. Your aim is to free yourself from the trap by finding various objects along the way and using them to your advantage so that you can easily free yourself and see the light of the day by freeing yourself from your captivity. 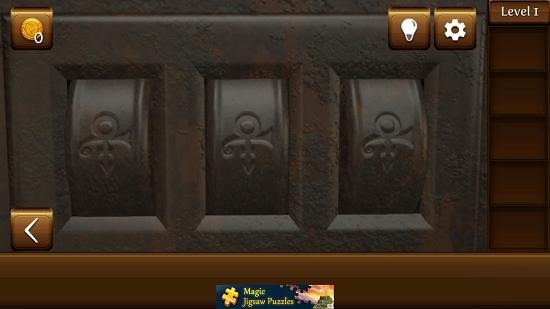 The game allows you to take control and test your mental skills of locating a hidden object and using it in a way that will free you. 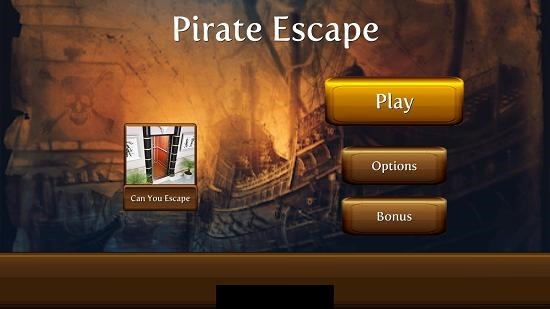 Pirate Escape is available for free from the Windows App Store. When you install and launch the game, you will be presented with the below shown screenshot. The above is the main menu of the game. Click on the Play button and you will be taken to the level selection screen. Once you have chosen the level of your choice, you can proceed to the gameplay screen. 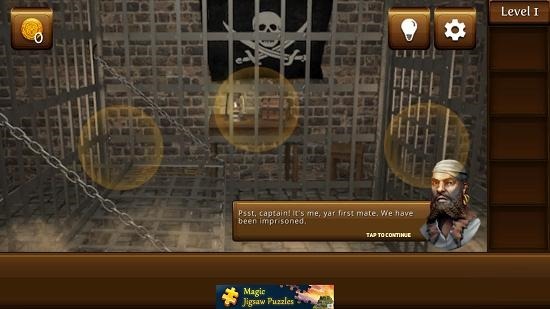 The first stage will show you a brief introduction where you will be able to talk to your pirate friend who will brief you on the features of the game and how you have to play the same. You can tap on the yellow glowing scenes to zoom them and interact with them. As you progress through the stages, these yellow scenes will disappear and you will be on your own, and without the help of these visible active zones, the game becomes more difficult and a tad more challenging to play, keeping you glued at all times. The game’s inventory box is at the right side, and you can see that I have picked up an object and it has gone to my inventory. The object in this case is a key and it’s visible in my inventory on the right side of the screen. 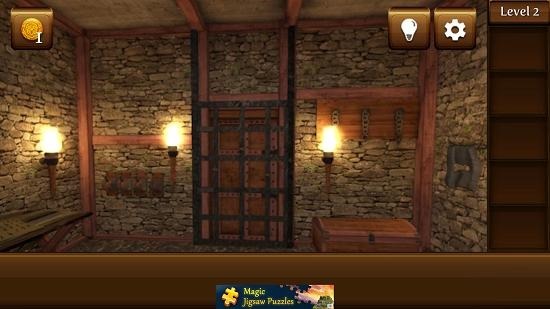 The game also has certain puzzles that you need to complete to progress. Here, I have to guess the correct code of the chest (see screenshot below). You progress through the scenes inside a level when you complete a scene. You can see that I have progressed to a different scene in the screenshot below. This winds the main features of Pirate Escape for Windows 8 and 8.1 devices. Pirate Escape is a pretty decent game to get your mind working hard to beat the odds and come out victorious from your captivity. The game can be downloaded for free from the link below.